The rose has long been a popular gardening plant, due in part both to its pleasant fragrance and colorful, romantic blossoms. Of the genus Rosa, whose name traverses French, Latin, Greek, and Persian language, the rose is a woody perennial loved for its beauty and scorned for its thorns. Despite its long history as a garden flower, the rose suffers from a variety of issues. 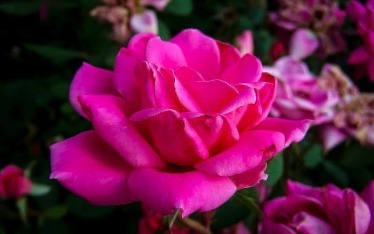 For one, the rose is subject to diseases, pests, droughts, and floods. For another, the rose requires significant daily maintenance, including watering, site planning, pruning, and cold weather storage. That is why William Radler, a native Wisconsin rose breeder, worked tirelessly to cultivate the Knockout Rose. Introduced in 2000 by the Conard-Pyle Co./Star® Roses, Radler’s Knockout Rose is bred specifically as a low-maintenance, adaptive rose cultivar. Gardeners all over the United States, and beyond, have rejoiced. The Knockout Rose has enabled gardeners in cold-weather locations, such as my Massachusetts neighbors, to plant stunning rose gardens. The difference between the Knockout Rose and the Double Knockout Rose? Easy – the ‘single’ and ‘double’ refer to the appearance in terms of petals. The Double Knockout Rose appears to have a secondary flower in the center, doubling the flower quantity. Many gardeners prefer the Double Knockout Rose as they believe it is a fuller bloom. Both are beautiful as accent or ornamental shrubs. Roses have long been known for their tender needs and finicky spirit. Even the Knockout Rose, whose hardiness has been celebrated, still requires moderate to heavy sunshine, careful and consistent watering, and moderately well-draining soil. 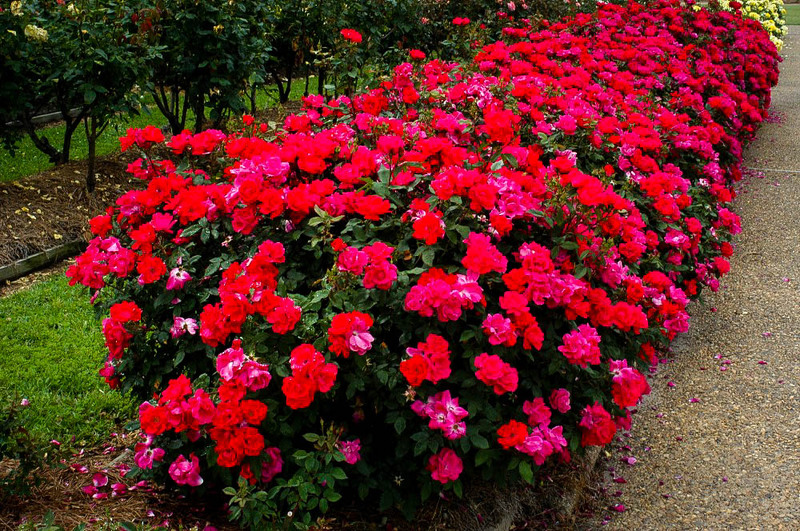 Read the quick-tips below to determine if the Double Knockout Rose is right for you. Sunlight – Double Knockout Roses require between 5 and 6 hours of sunshine daily. Plant in full sun. Water – Water 2 to 3 times a week for the first year of growth. Water more frequently in summer, ensuring at least 1 inch of water reaches the plant weekly. Pruning – Moderate pruning may be required throughout the lifespan of the Double Knockout Rose, though much less than is required of the regular rose. Despite being much hardier than their famous relatives, Double Knockout Roses can still be a tad particular in terms of location. Double Knockout Roses usually only reaches between 3 and 4 feet tall, making it an easy shrub to fit into small garden spaces. 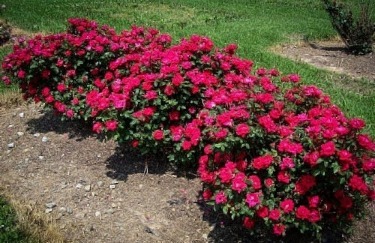 Additionally, these roses grow well in rows or groups. 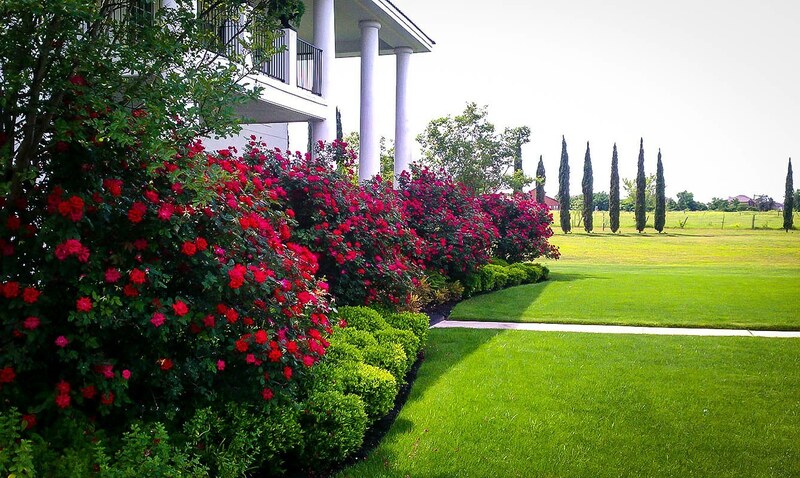 Many gardeners choose to plant several varieties of Single and Double Knockout Roses together, creating a rose garden. Although Knockout Roses are hardier than the regular rose, they are still only viable in USDA Hardiness Zones 5 through 10. This excludes much of the upper Midwest and upper Northeast. Vast regions of Maine and Vermont are excluded, as are the farthest northern regions of New Hampshire and New York. Much of Wisconsin, Minnesota, North Dakota, South Dakota, Wyoming, and Montana are also not hospitable to the Knockout Rose. Roses need sun. Plain and simple. Though the regular rose may need as much as 8 hours of sunlight daily, depending on the specific species, Double Knockout Roses are only slightly less needy. Your Double Knockout Rose will likely need between 5 and 6 hours of sunlight daily. Water is an important component to the overall success of the rose. Knockout Roses, like their weaker counterparts, should not have wet leaves, especially just before dusk. Even these hardy flowers are prone to mildews and fungi, something which wet leaves encourage. Be sure to water the rose in the morning, allowing ample time for foliage to dry prior to evening. It is even better to wet the roots, avoiding the foliage all together. Hose or ground sprinkler systems can do this quite well. 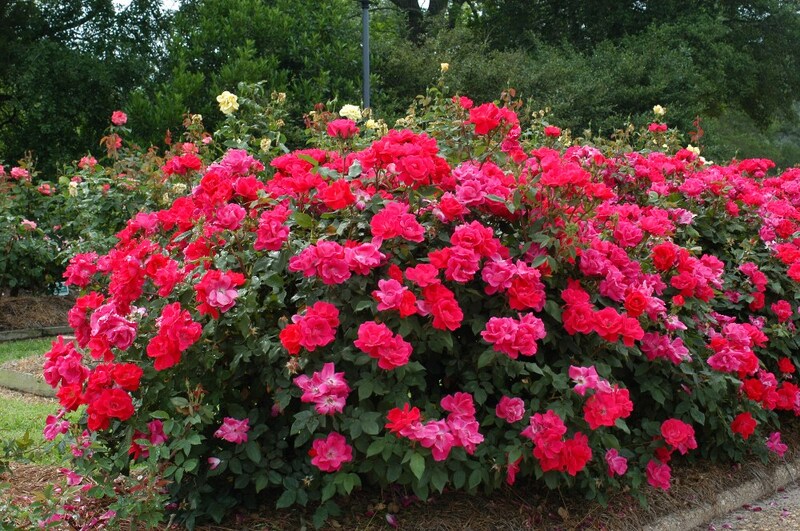 This could be a valuable investment, as roses should be water twice a week, especially in lieu of rainfall. The Double Knockout Rose is a moderate to fast-growing flower, sometimes adding as much as 2 feet in a single growing season. Left unpruned, Knockout Roses can reach 8 feet tall. This is not beneficial, and the flowers will be less bold and healthy. Pruning the Knockout Rose is an important step in the maintenance process. Although the Double Knockout Rose is low-maintenance when compared next to the regular roes, metered pruning will ensure better blooms and a healthy plant. Wait until the second season of growth to prune, as pruning in the first season can be detrimental to later growth. Then, prune when the buds are just past dormant, which is usually in the early spring. In some areas, this may be as early as mid to late February. Even healthy shoots can be cut back by as much as one-half. 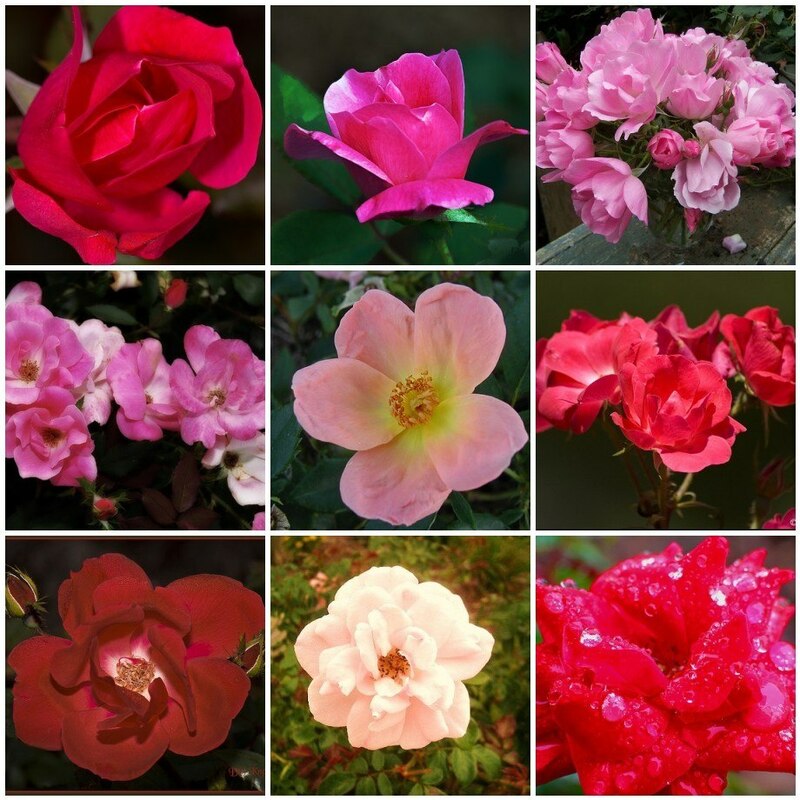 The Knockout Rose by William Radler has a limited number of cultivars. Below, read about two of the most popular Double Knockout Rose varieties. – The fruit of the Rose is called a rose hip. – The rose hip, found at the base of the flower, is used for a variety of medicines and ointments. – Rose hips are, unfortunately, not found on most cultivated roses as they decrease petal count. – Rose oil, made from rose hips, is used to make a variety of items: perfumes, oils, makeup, jams, jellies, marmalades, and soups! This is a very informative site. I have seen the Knockout Roses on shrub like plants. They were used as part of a landscaping project. I did not see the shrub in these pictures. Is there such a shrub? Thanks for all the information. You answered my questions. My double knockout rose bushes are approximately 8 years old. Initially, they bloomed three times each year from Spring until November. Now they are blooming only once in the Spring. Has this decline been due to poor maintenance or is it normal for plants of this age?